Los Angeles subway will become the first mass transit system in the U.S. to install body scanners that screen passengers for weapons and explosives, officials said Tuesday. 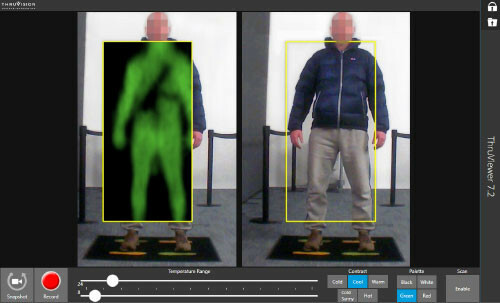 The machines scan for metallic and non-metallic objects on a persons body, can detect suspicious items from 30 feet away and have the capability of scanning more than 2,000 passengers per hour. The capacity to check 2,000 passengers per hour is way too small for a subway line which usually has between 20 and 30,000 passengers per hour. While the system is software supported it will still need a lot of paid staff to watch the screens and to bother all the people who might carry something 'suspicious'. There will likely be dozens if not hundreds false alarms per day. This is supposedly to prevent someone with an explosives belt or an automatic rifle from entering the subway with the intend to commit mass murder. But how often does that happen? Globally its probably once per decade with zero to a few dozen casualties in any such incident. The risk of an accident or fire is much higher. It is doubtful that the expenditure and operating costs are justifiable. Such security theater has the effect and purpose to make people feel afraid. It also makes a few people very rich. Signs will be posted at stations warning passengers they are subject to body scanner screening. The screening process is voluntary, Wiggins said, but customers who choose not to be screened wont be able to ride on the subway. 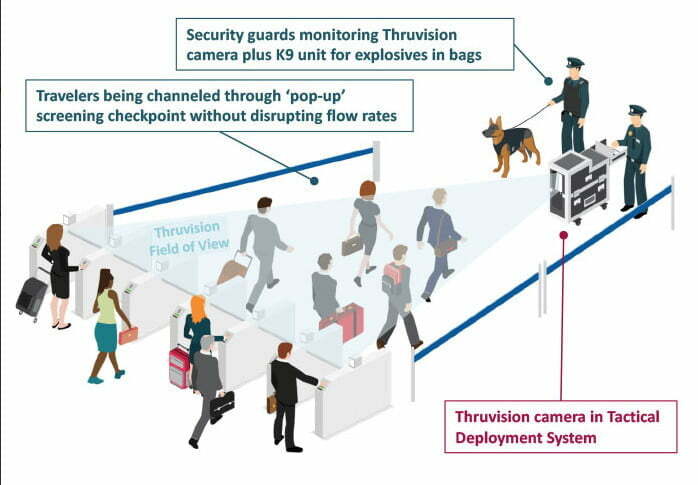 The equipment is known as Thruvision TAC-TS4 portable terahertz millimeter wave passenger screening devices. How is this different from being in a microwave oven? It's got to be significant for the drones operating these things, not to mention Officer Fido the dog. It's a terrorist attack of it's own. Then there's the presumption of guilt, 4th & 5th amendment violations. That thing is aimed right at their reproductive organs, mass sterilization, genocide of the illegal aliens dream students of Los Angeles? As with airports, they give no indication of planning for the bomb designed to be detonated in the midst of the mass of people waiting to clear security. Ever seen what those Disney-like snaking lines look like on a major travel day? There's a lot more people packed in there than a single airliner. Maybe they should move security screening back to the freeway offramps? While we're considering that, let's continue welcoming the Mooslum deathcultists to infest our cities.